Pregnant women and children should not be subject to scanning, even though the radiation dose from body scanners is “extremely small,” said the Inter-Agency Committee on Radiation Safety report, which is restricted to the agencies concerned and not meant for public circulation. The group includes the European Commission, International Atomic Energy Agency, Nuclear Energy Agency and the World Health Organization. President Barack Obama has pledged $734 million to deploy airport scanners that use x-rays and other technology to detect explosives, guns and other contraband. The U.S. and European countries including the U.K. have been deploying more scanners at airports after the attempted bombing on Christmas Day of a Detroit-bound Northwest airline flight. 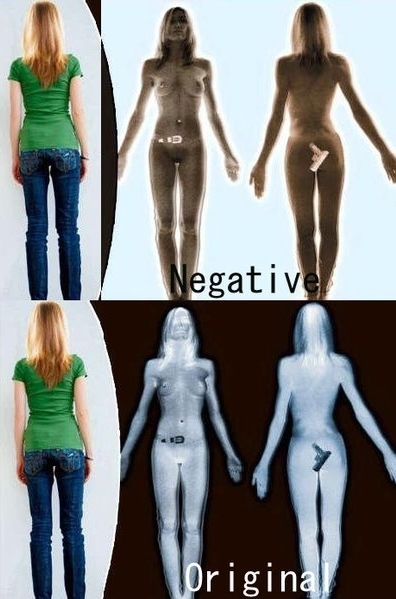 A backscatter x-ray is a machine that can render a three- dimensional image of people by scanning them for as long as 8 seconds, the report says. The technology has also raised privacy issues in countries including Germany because it yields images of the naked body. Most of the scanners deliver less radiation than a passenger is likely to receive from cosmic rays while airborne, the report said. Scanned passengers may absorb from 0.1 to 5 microsieverts of radiation compared with 5 microsieverts on a flight from Dublin to Paris and 30 microsieverts between Frankfurt and Bangkok, the report said. A sievert is a unit of measure for radiation. European Union regulators plan to finish a study in April on the effects of scanning technology on travelers’ privacy and health. Amsterdam, Heathrow and Manchester are among European airports that have installed the devices or plan to do so. The U.S. Transportation Security Administration has said that it ordered 150 scanners from OSI Systems Inc.’s Rapiscan unit and will buy an additional 300 imaging devices this year. The agency currently uses 40 machines, which cost $130,000 to $170,000 each, produced by L-3 Communications Holdings Inc. at 19 airports including San Francisco, Atlanta and Washington D.C.